Next June, consumers in Washington state will be able to buy hard liquor at grocery and warehouse stores, including Costco. 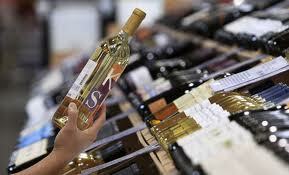 The state budgeting office figures the number of outlets selling liquor will jump from 328 to 1,428. It also expects the change to generate an average of $80 million more in annual revenue for the state and local governments over the next six years. Some liquor prices are expected to drop, although not as low as in California, because Washington will keep its high liquor taxes.